Charley's Pub & Grill Charley’s provides a casual drinking and eating environment offering the best quality products at reasonable prices. Sands West Family owned business serving the Grand Rapids area for over 50 years. Established in 1963. This family owned business has been serving the Grand Rapids MI, Wyoming MI Metropolitan area for approximately 50 years. The completely remodeled Sands West provides the only full facility, 24-7, upscale billiard room and pool hall in Grand Rapids, Wyoming Metro area offering open play and league format. Sands West is perfect for social play, 1st dates, last dates, getting a date, family fun, friendly fun, or just competing with the players! Established in 2009. 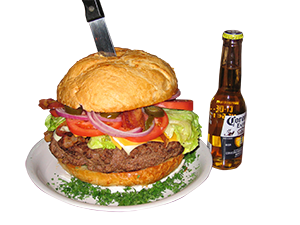 Charley’s goal is to provide an upscale, casual, quaint drinking and eating environment offering only the best quality products at reasonable prices. Our professional staff sincerely cares about your over all experience and it shows. Charley’s success is due to the word of mouth recommendations from our loyal customer base. Hard to keep a good secret down!